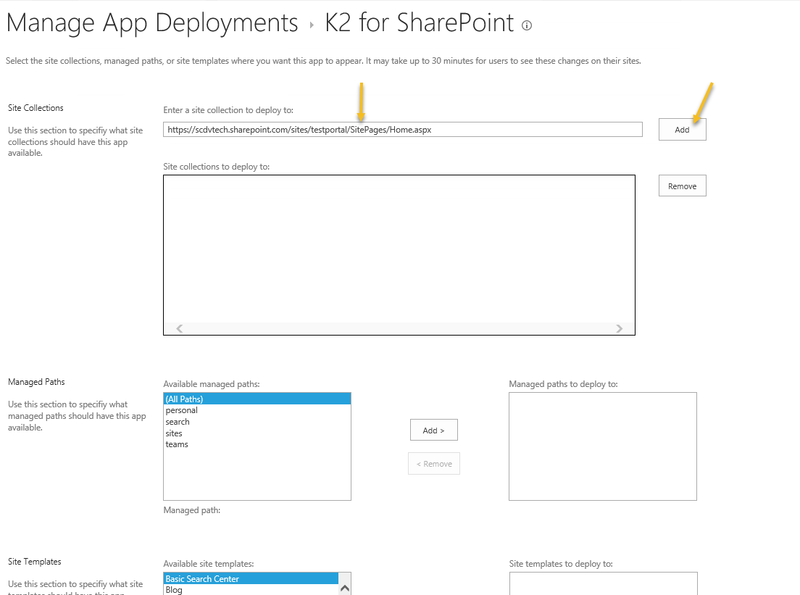 Despite I have mentioned in my previous article that setting up an integration between K2 blackpearl and SharePoint online is rather “a piece of cake” level of complexity compared to manual AAD integration set up the process, I’ve decided to write this article and describe this process from start to finish. Why? Because it is one thing to say that entire process boils down to adding K2 for SharePoint App to your SharePoint Online site through app catalog, and another thing to set this up completely from the ground up. Let’s try to do that together. From the K2 side, you will need K2 server with HTTPS bindings and this too has been covered in my blog post which I mentioned above. 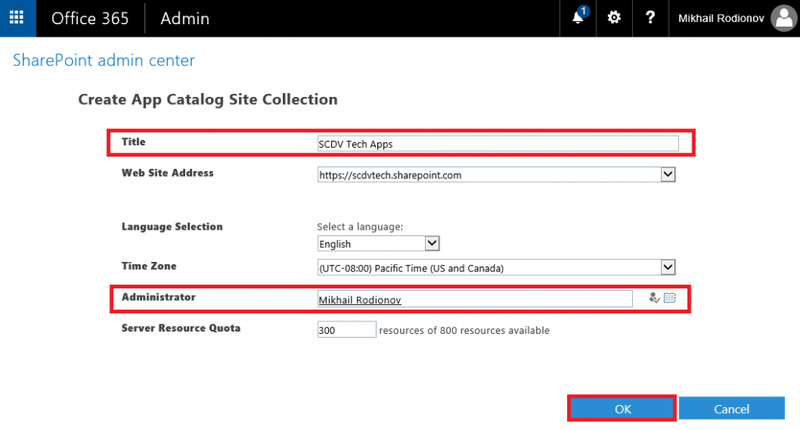 Rest of the actions are covered in the K2 documentation, but even using these two useful resources you may still wondering how do you go about getting your SharePoint Online instance and this will be our first step in this article. 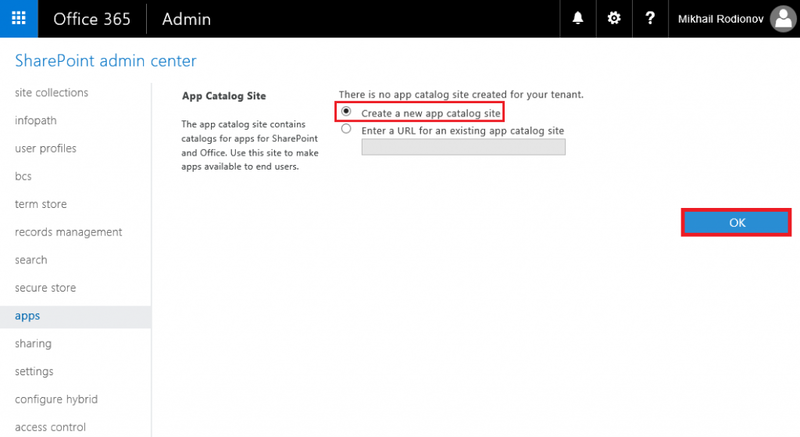 In case you are running into a situation when your app catalog does not get created it probably means that you deleted your earlier created App Catalog site collection and need to delete it from SharePoint online recycle bin before trying to create it again. 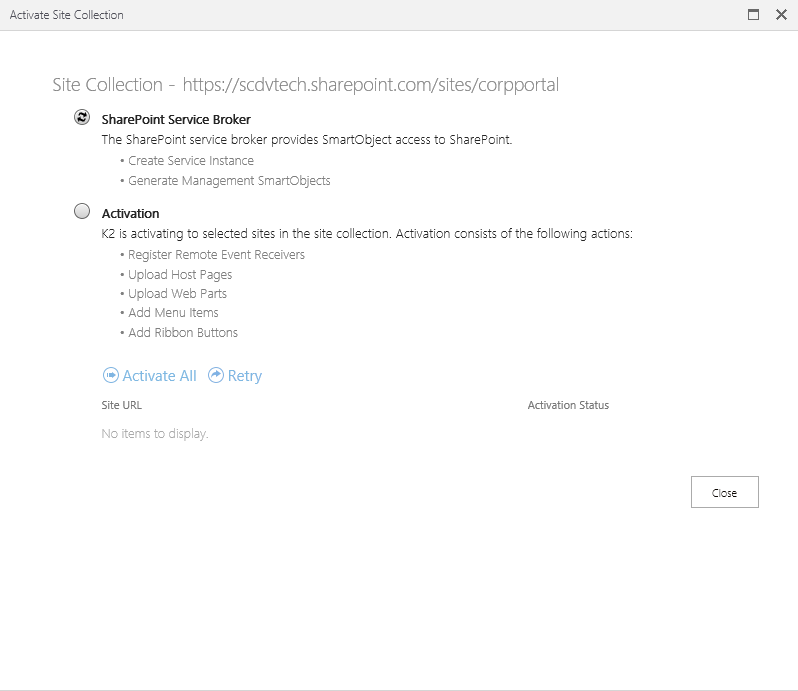 This is one of the cases where SharePoint online GUI does not allow you to do this operation and you need to use PowerShell for SharePoint Online. 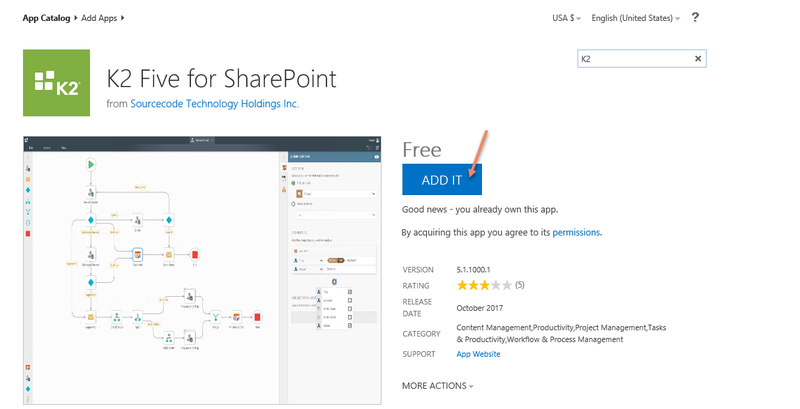 For more details on how to do this check out my other article “Managing SharePoint Online with PowerShell”. 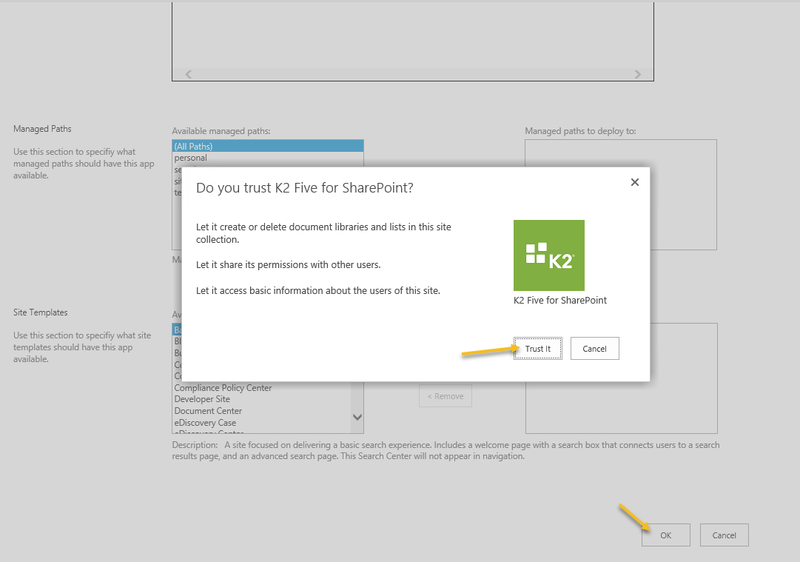 Once you clicked on “ADD IT” button you will be presented with “Do you trust K2 Five for SharePoint?” dialog where you have to click “Trust It” button to add K2 Five for SharePoint app to your app catalog. 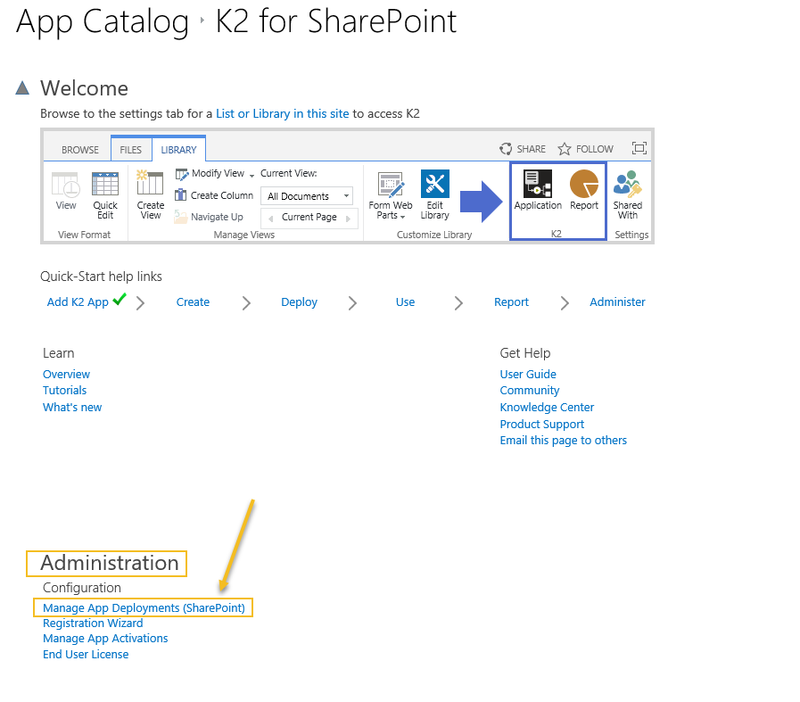 In case you are using the older version of K2 or access to SharePoint store is blocked in your organization you may manually add K2 for SharePoint online app as described in the related section of K2 Five Installation and Configuration Guide. 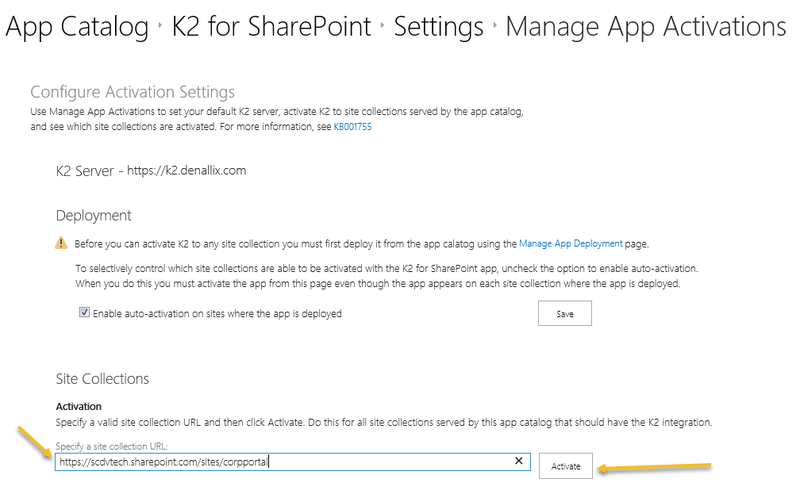 You can find the app itself in the following location on your K2 Server: “%ProgramFiles%\K2\Setup\SharePoint Online”. And yet another thing to clarify before we move on to K2 App Registration and Activation per se is this: Does exposing your K2 site to the Internet necessary? No.  You can run app registration and activation from any machine within your corporate network that can connect to the SmartForms runtime site and everything will work for any user within the corporate network where your K2 server is deployed. 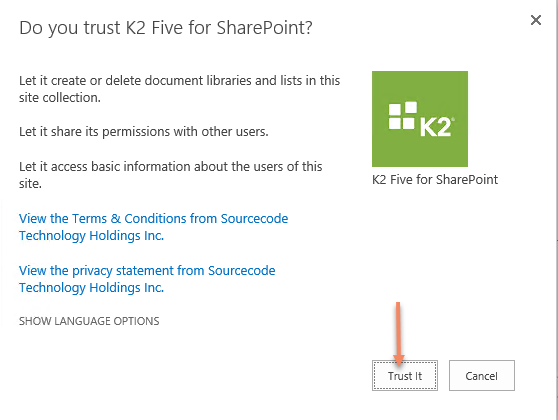 There is no need to expose K2 site to the Internet except for the scenarios when you want your users to access K2 over the Internet/outside of corporate network, and use of event-driven workflows functionality which requires your event receiver site to be exposed to the internet even when all your users work with K2 within corporate network – just because it requires SharePoint Online to talk back to K2 server (more about this below). 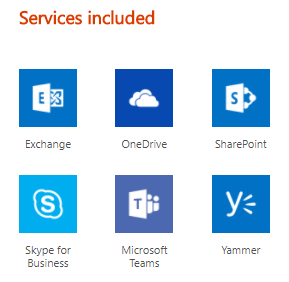 The URL for the remote event receiver must be publicly accessible. This only required if you going to use the event-driven workflows (those which start when an item is added and so on). 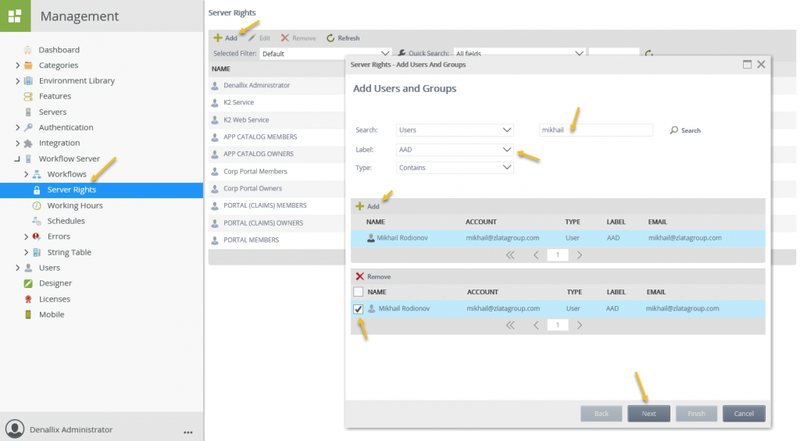 And even if you need this functionality you always can expose the event receiver site to the Internet later, after running registration wizard, when you really need to use this functionality (and it should not be necessary to rerun the registration wizard to get it working). 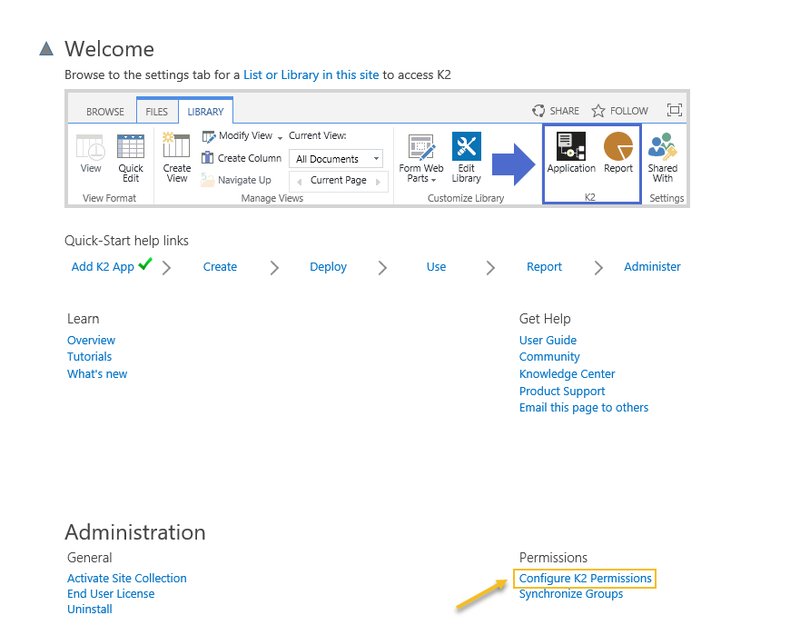 SharePoint Online requires SSL to be enabled on your system. I have mentioned this prerequisite in the very beginning of this blog post. 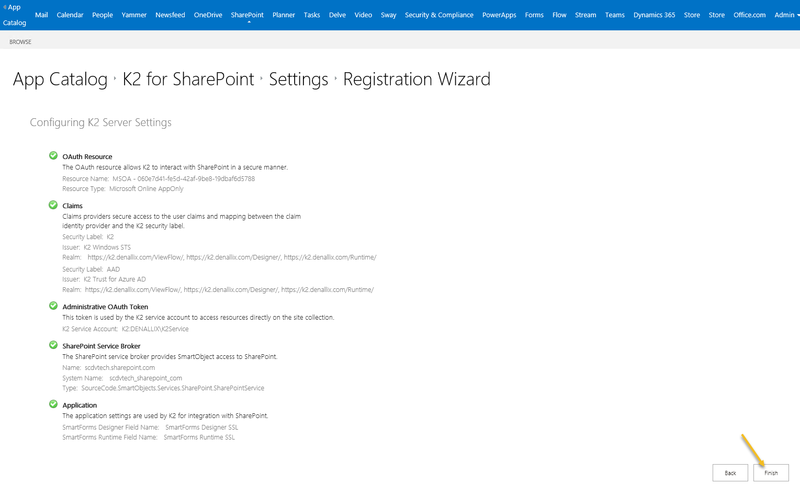 Custom Scripting capabilities are off by default for personal sites and self-service created sites and you may encounter errors when the registration wizard uploads pages to SharePoint. 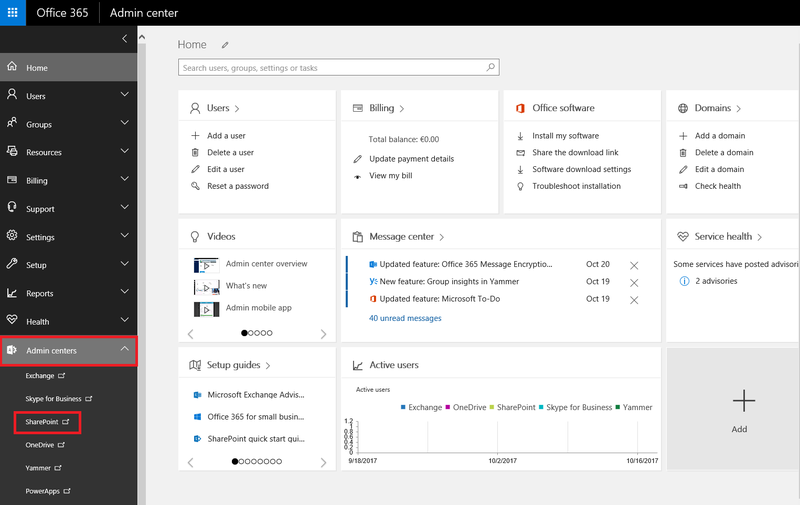 See KB001711 – SharePoint Online Root Site Collection Document Library ASPX upload issue and the Microsoft article: Turn scripting capabilities on and off for more information. As you can see from the screenshot we are granting: Read directory data, Sign in and read user profile, Have full control of all site collections, Read and write managed metadata, Read and write user profiles. 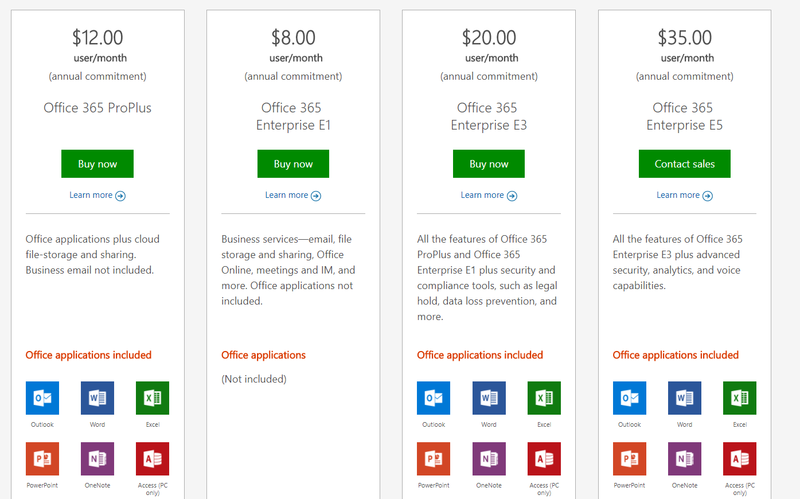 Some of the permissions here are SharePoint Online specific and others are Office 365 AAD permissions (e.g. Read directory data). I’m not sure why Read and write managed metadata, Read and write user profiles and Have full control of all site collections permissions listed twice in that list but let’s accept this “as is” for now. K2 Trust is used by K2 to handle claims authentication and Single Sign-On (SSO) with AAD, it is a Relying Party Security Token Service (RP-STS) used to broker authentication requests between K2 servers and AAD STS. Essentially it enables K2 to automatically handle setup and configuration of the authentication and claims infrastructure and using single K2 application for different tenants. 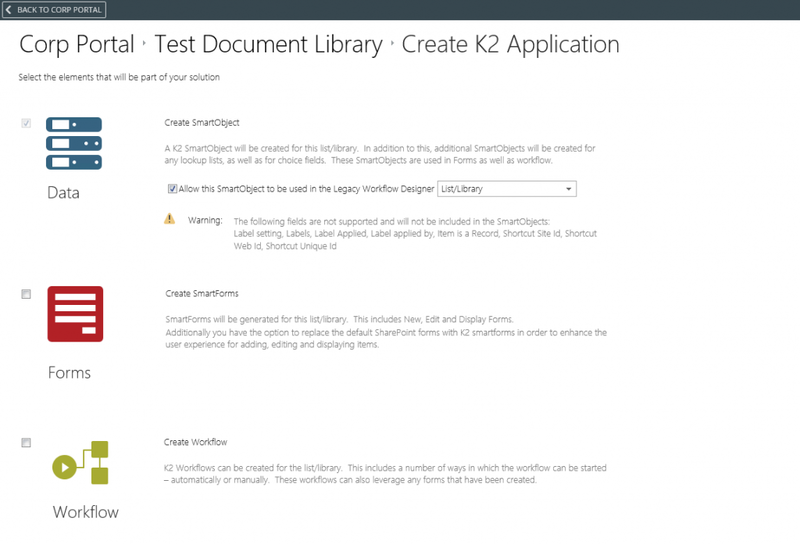 You can read more about K2 Trust in K2 KB002029: “About K2 Trust”. 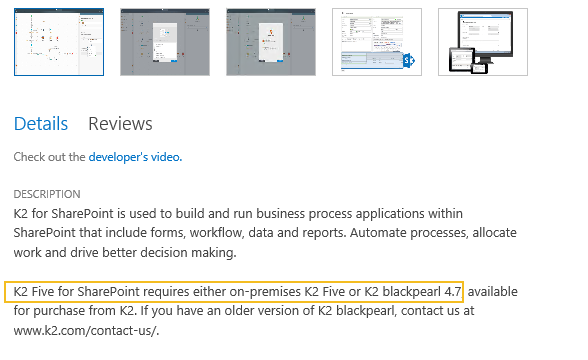 Use of this intermediate RP-STS is the fundamental distinction between K2 for SharePoint online based and AAD app-based integration in K2. 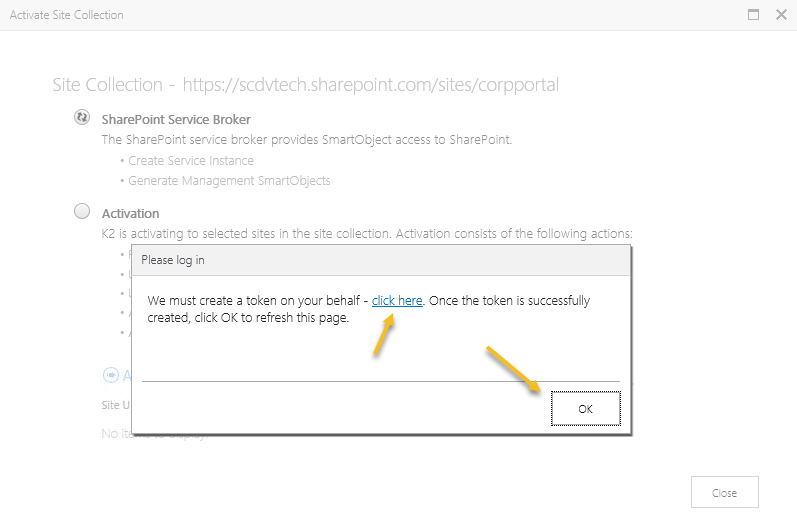 But the fact that we have that “Create token prompt” makes me wonder if automatic activation can truly happen for the brand-new SharePoint site collection without this user input action/create the token step. 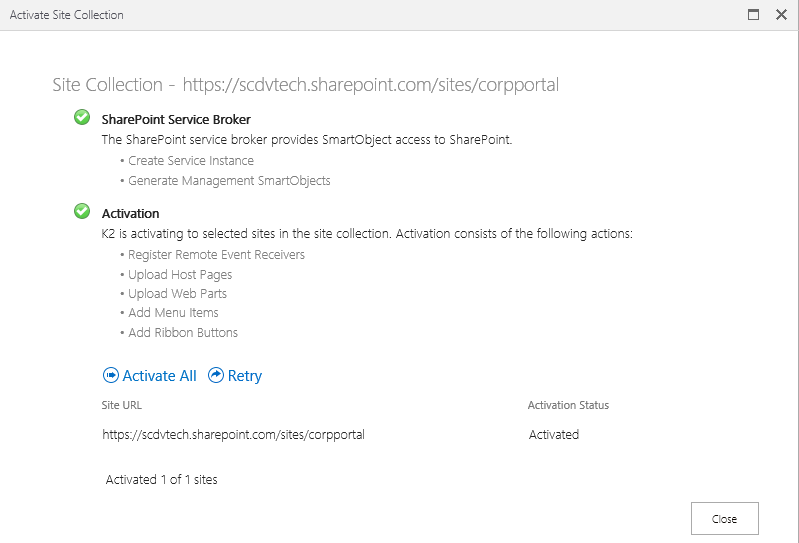 Anyhow after Activate Site Collection steps completed we just click the Close button and have our Site Collection activation completed. This button opens the standard menu which allows you to create K2 artifacts from SharePoint Online objects as well as design workflows around them (this part is essentially the same both for SharePoint on-premise and SharePoint Online). 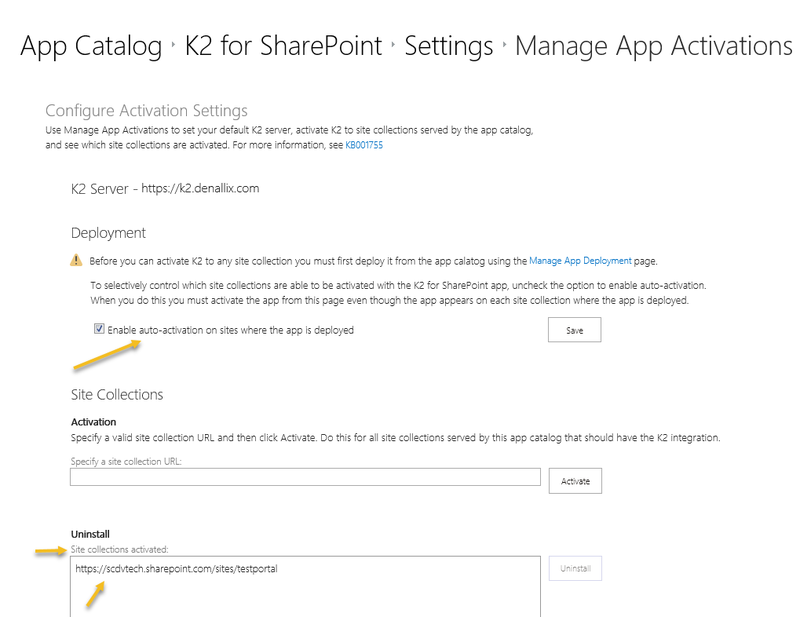 For freshly provisioned SharePoint Online site collection your SharePoint Online admin user does not have membership in any of those groups by default and it doesn’t prevent this user from doing everything we need with this site collection from SharePoint Online side, but you need to add your admin user into one of these groups to enable him to work with K2 app. 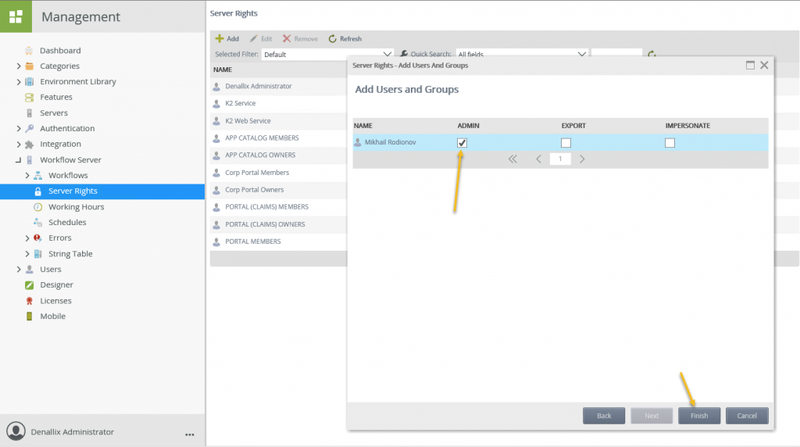 And in case of group membership has been just changed, we conveniently have “Synchronize Groups” option under Permissions section of K2 for SharePoint app settings for that. 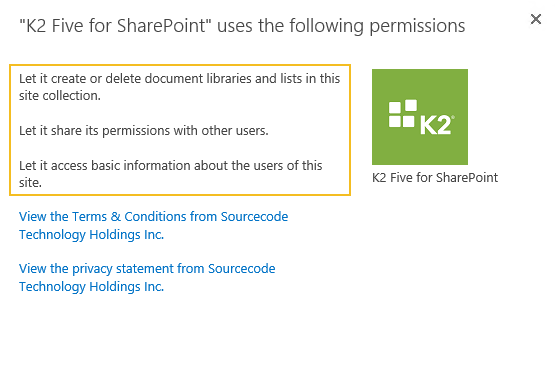 There are also permissions controlled on K2 side, but by default, Everyone group has those rights granted. 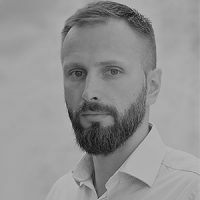 I hope this blog post has been useful for you and in case you have any questions or feedback around this topic you may leave them in the comments section below this blog post.